The IPP is a modular pocket prover that is adapted to the customers needs when it comes to capacity per hour and resting time. The MO300 is available with a wide variety of options to suit the customers needs. 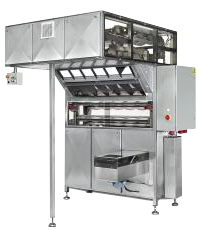 The Flexible bread line is very user friendly and flexible with a high capacity and efficiency. Weight range from 120 to 1600 g, variable speed with frequency converter for 750 up to 1800 pcs/h, 100 liter stainless steel hopper with non stick coating. The SD-180 in the picture is equipped with a flour duster. The CR-360 has centrally adjustable non-stick coated tracks, infeed at 6h, outfeed at 12 h and outfeed chute and mechanical flour duster. 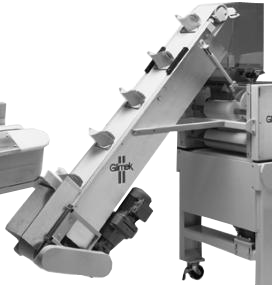 Intermediate pocket prover with 132 effective pockets, single infeed V-belt conveyor. 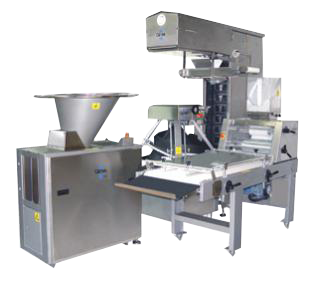 Its equipped with photocell controlled non-stick coated infeed conveyor with continuous pocket prover drive. The prover has variable speed and the electric control panel is situated under the projecting overhang for easy control. The IPP has power supply for the divider, conical rounder and the moulder. Max proving time is 4,3 minutes at 1800 pcs/h. 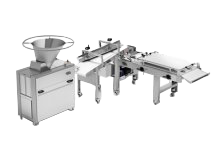 The moulder has centrally adjustable infeed in the hopper and two pair of rollers, the pressure board is 650X1100mm with a collection tray to collect the dough pieces. 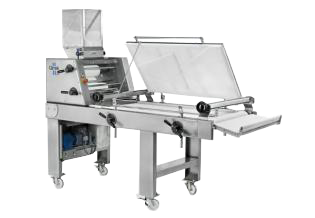 The Straight Dough Line is specially made for producing bread without need for an intermediate proving time. Its a very compact dough line with capacity of up to 1800 pieces per hour and a with a weight range of 120 up to 1600 grams. 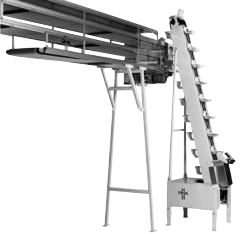 There is also a Eco version of the straight dough line where the conical rounder is replaced by a hander up system that is mounted on the extended outfeed conveyor of the divider. Weight range from 120 to 1600 g, variable speed with frequency converter for 750 up to 1800 pcs/h, 100 liter stainless steel hopper with non stick coating. A step by step elevator for transporting dough pieces from the rounder into the moulder. With a capacity to lift up to 600 kilos this bowl lift is very versatile (removable bowl incl. dough). 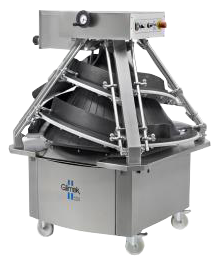 The bowl lift can be designed to empty the bowl to the left or right which makes it adaptable to the bakery layout. 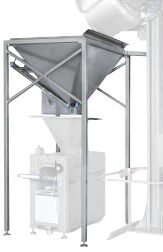 With a volume of 575 liters as standard this bulk hopper is very efficient. 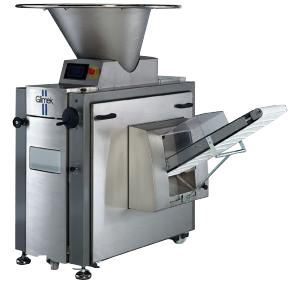 An automatic suction fed dough divider which can be used either as 1-pocket or as 2-pocket. A stainless multi pocket dough divider in 3-pocket or 2/4-pocket execution. Stepless adjustable dough pressure, adjustable when running. The new Instore Bread Line 120 from Sveba-Dahlen is a bread line that is easy to adapt to both the layout of the premises and to the bread that is to be baked. In addition, the entire flow can be easily and safely managed by one person, from start to finish. 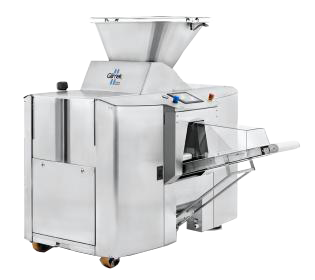 With a capacity of between 500 up to 1200 pieces per hour and a weight range between 50 up to 1000 grams the Instore Bread Line is very versatile and is able to produce most bread types. Weight range of 50 up to 1000 grams and variable speed through a frequency converter of 500 up to 1000 pieces per hour. The hopper can hold 100 liters and is made in stainless steel. The conical rounder is fitted with non-stick coated tracks that can be easily adjusted. 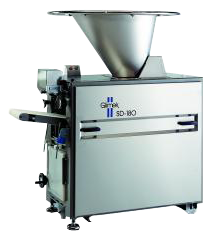 Weight range of 380 up to 1000g with infeed at 6h and outfeed at 12h. 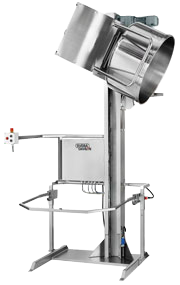 The outfeed chute is equipped with a mechanical flour duster. An intermediate pocket prover in stainless steel with 60 effective pockets. 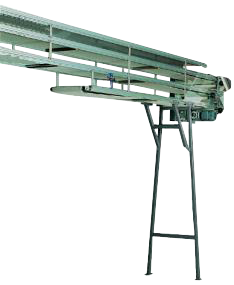 The prover works intermittently with photocell controlled infeed, the outfeed is fitted with a belt conveyor. The pocket are easy to remove for cleaning and its also fitted with a collection drawer for easy cleaning. 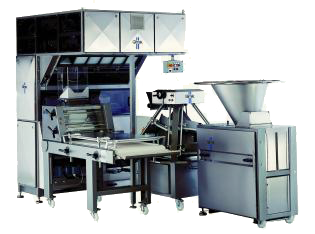 The prover has a emptying mode and is also provided with sockets for the other machines, the control on the prover also shuts down the other machines. 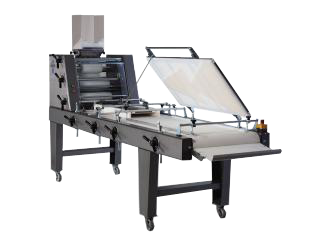 The MO-300 moulder is equipped with centrally adjustable infeed in the hopper, two pair of rollers, 650X1100 mm pressure board and collection tray. Lower side guides below the pressure board, The pressure board is motorized and counter rotating.